This one is a little bit more reasonably priced than Japan's limited edition. 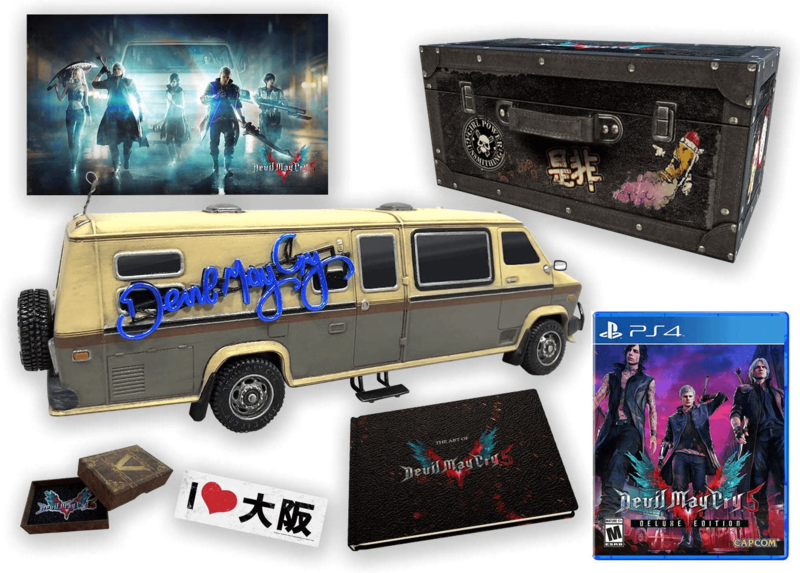 It isn't quite the ridiculous "Ultra Limited Edition" you can get your hands on in Japan, but the modest collector's edition of Devil May Cry 5 that has just been revealed for North America still boasts a solid collection of goodies. 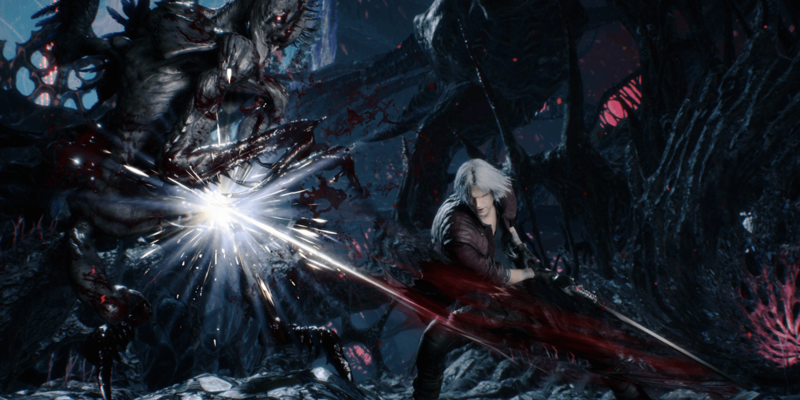 This collector's edition, which launches on the same day as your typical versions of the game, is set at a price point of $149.99, which is not quite the $8,000 special edition overseas. This, of course, begs the question, what are you getting if you shell out that much for this title? For starters, you will get the deluxe edition of the game, which typically retails for about $10.00 more than the standard edition and includes some downloadable bonuses, along with some physical items to commemorate the franchise's return to relevance. The stand-out piece among the bunch is a replica model of the Devil May Cry motor home in which our heroes take their demon slaying on the go. Also included is an art book that contains imagery from the game as well as notes from Nico's Workbench. In addition, the collector's edition includes a pin, bumper sticker, and 11" x 17" cloth print featuring our full cast of characters. Finally, it all comes in this very special box designed to look like an item trunk, matching what you might find in the game. We're guessing this one is based on something used by series newcomer Nico, but you never know, it could be Dante's box!